Every once in a while when out looking for birds, you find a Magic Tree that seems to be a magnet for several species. Such was the case with this acacia our group encountered on the Tanzania part of our trip while traveling from Ngorongoro to the Serengeti. 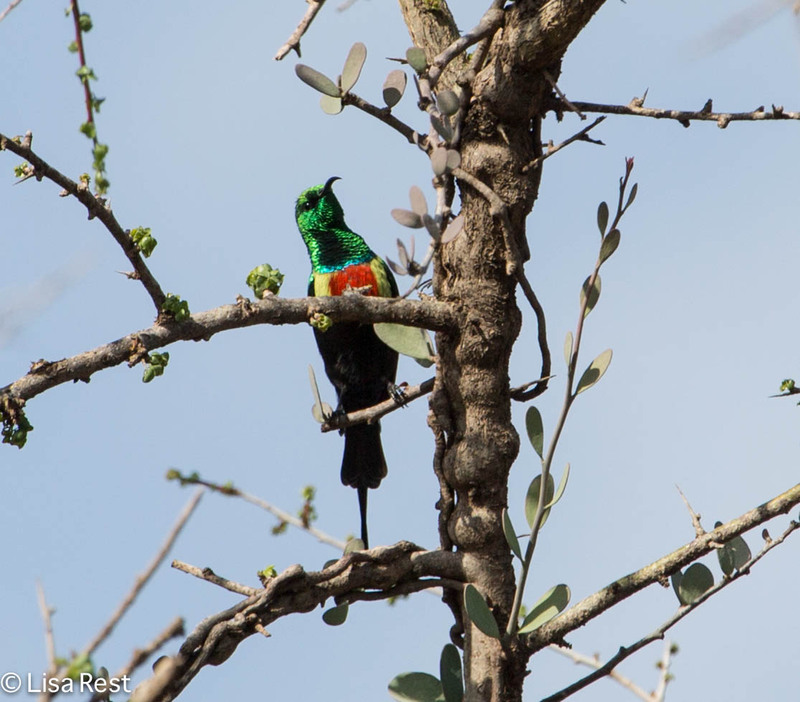 Here are a few pictures of some of the more colorful species that came to this tree. The challenge in this situation is trying to decide which bird to focus on first since it’s impossible to photograph them all. 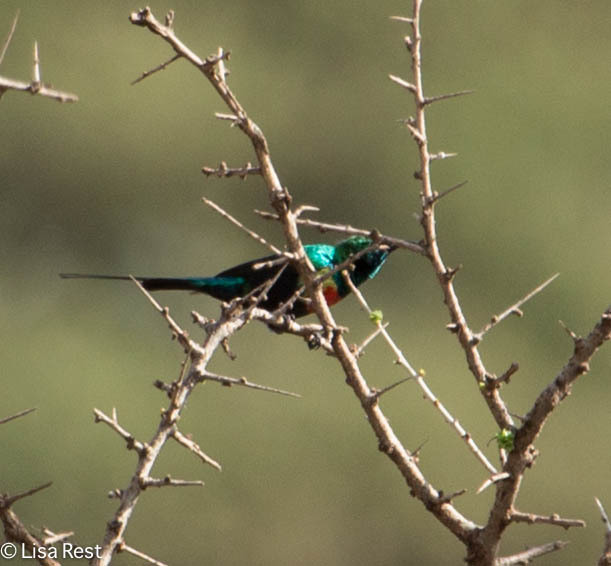 I was quite a distance from the Beautiful Sunbird above, and it never emerged from behind the thorns for a good view. But later, the individual below was closer and a bit more visible. 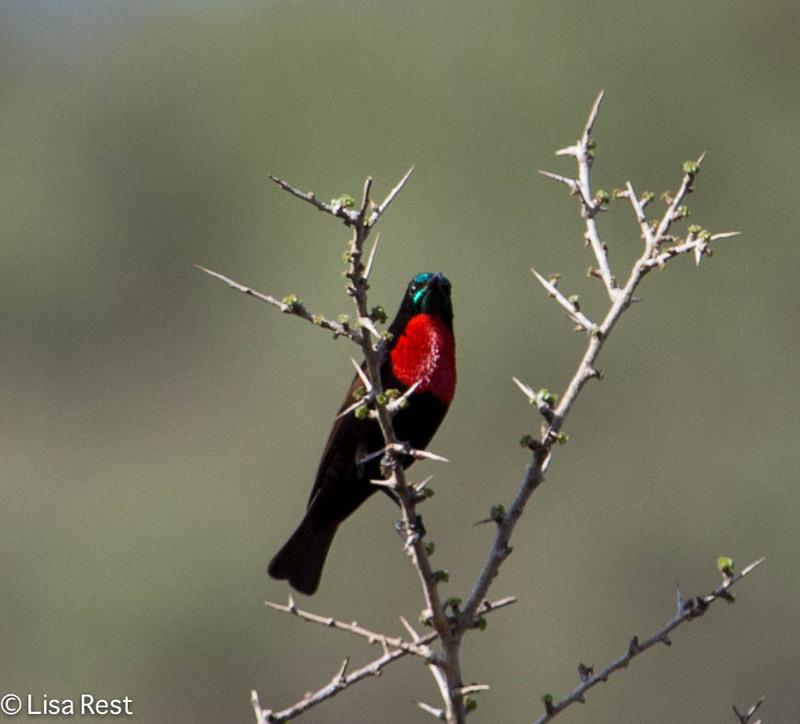 Also beautiful, if more frequently seen, is the Scarlet-Chested Sunbird. 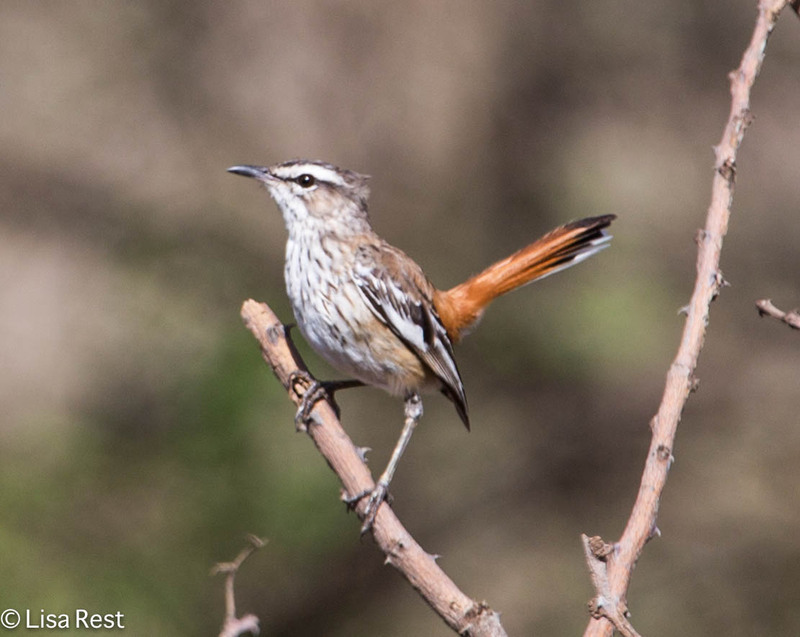 Perhaps not in the same tree, but on the same day, the White-Browed Scrub Robin below gave me a nice look. And the magic continued yet another yellow weaver with black markings on its face to add to the collection. 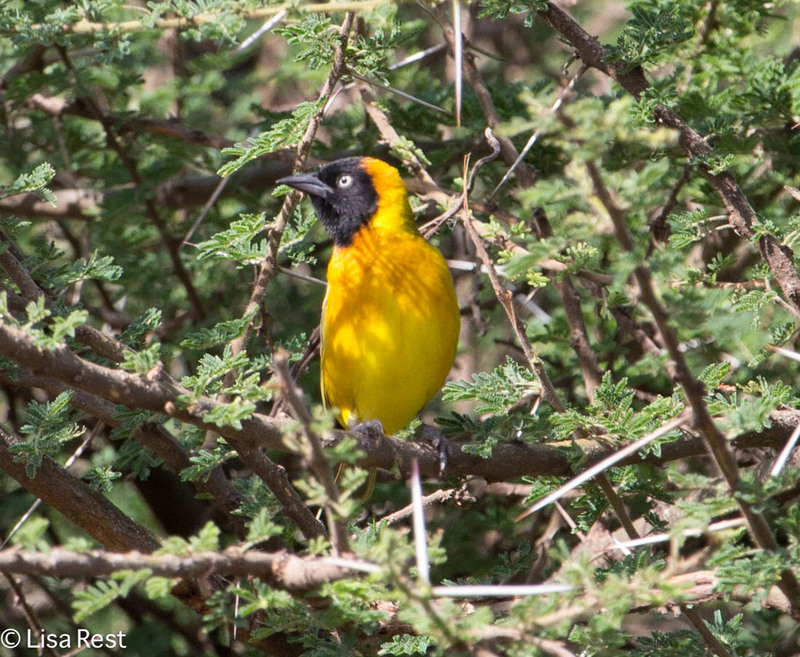 This is the Lesser Masked Weaver. 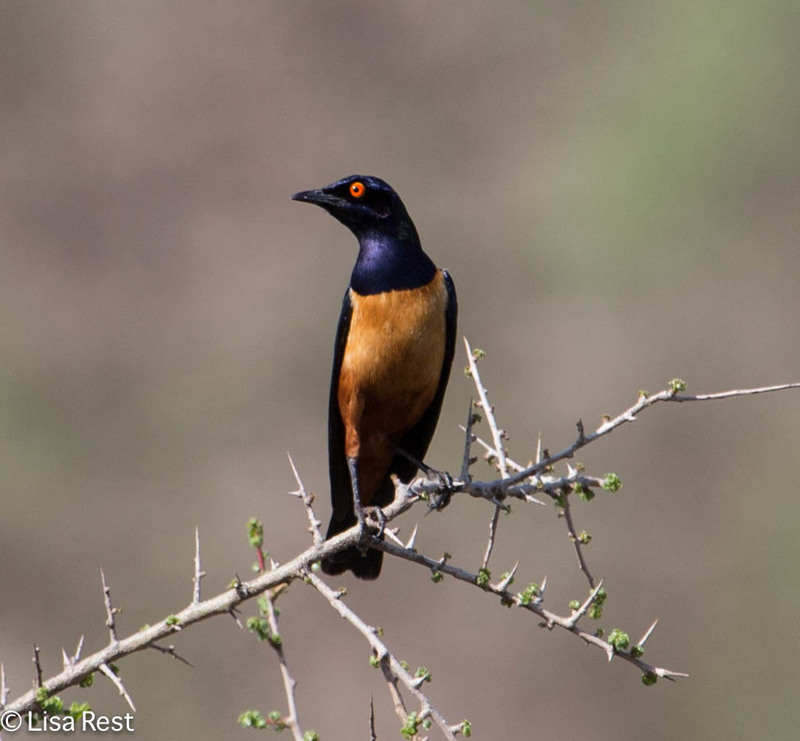 This entry was posted in birds, photography and tagged acacia, Beautiful Sunbird, East Africa, Hildebrandt's Starling, Lesser Masked Weaver, Scarlet Chested Sunbird, Serengeti, Tanzania, Vitelline Weaver, White-Browed Scrub Robin by Lisa Rest. Bookmark the permalink. Gorgeous birds in Magic Tree! It almost tempts me into travelling when I see these beautiful birds. I keep finding more of them in the pictures as I go along, now that the immediate memories are fading. You are already on the right side of the Atlantic..! What amazing birds! 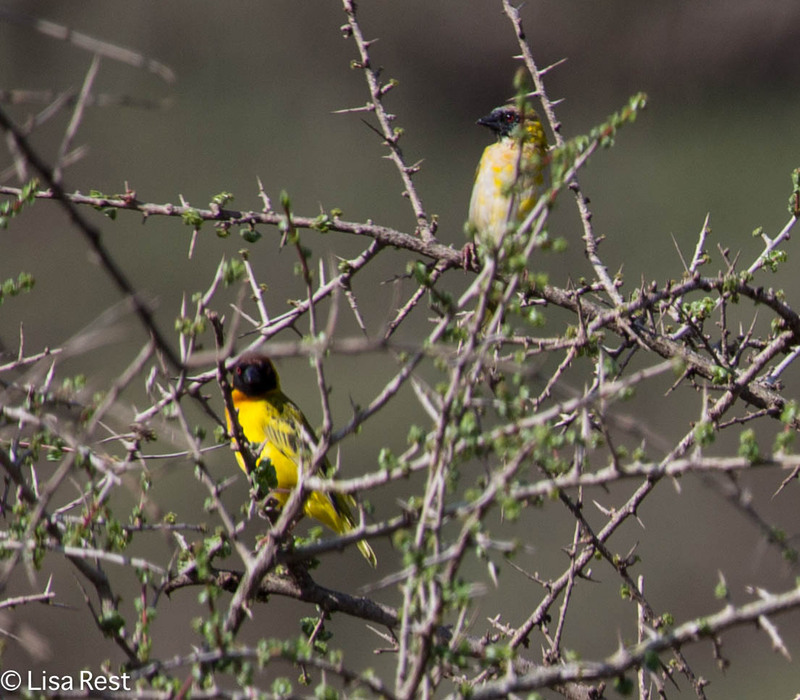 My favorite is the Lesser Masked Weaver. Makes me wonder about what the Greater Masked Weaver must look like. I don’t know if there is a Greater. 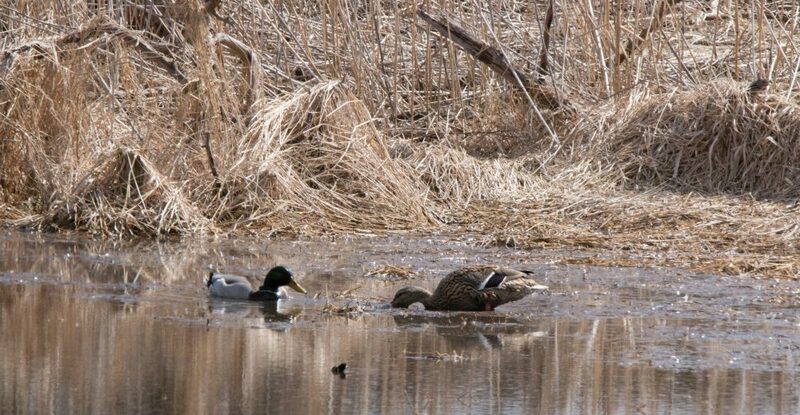 Not in my field guide for this area. I often wonder where they come up with these common names. Wonder if they were comparing it to the Vitelline Masked. I’ll have to research this further.